Are rapid technology changes and a continuous stream of new projects plaguing your department? 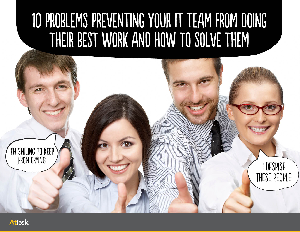 Say good-bye to 10 pesky problems that are preventing your IT staff from getting work done. And not just any work, real work done at the right time and the right way.